It never used to bother me because — let’s be honest — I complain about my weight, too. Or, at least, I used to. Now I have a 7-year-old daughter and everything has changed. I no longer stare at my profile in the full-length mirror, sucking in my tummy or pinching excess fat. I still maintain a healthy diet but I indulge in popcorn and ice cream on family movie night. And when I go to the gym, I don’t whine about the bulge of my belly or needing to work on my jiggle. I’ve changed my negative attitude because I’m a mother now, and what I say and do matters to my children. My daughter is one of those girls who is 7-going-on-17, and I know she’s paying attention to my actions. 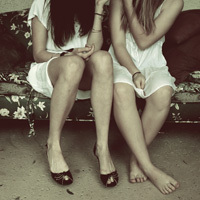 We love to primp together and try on all my clothes. She gives me fashion advice by telling me which color brings out my eyes or if it’s a dress I can twirl in, not whether or not it makes my a*s look fat. 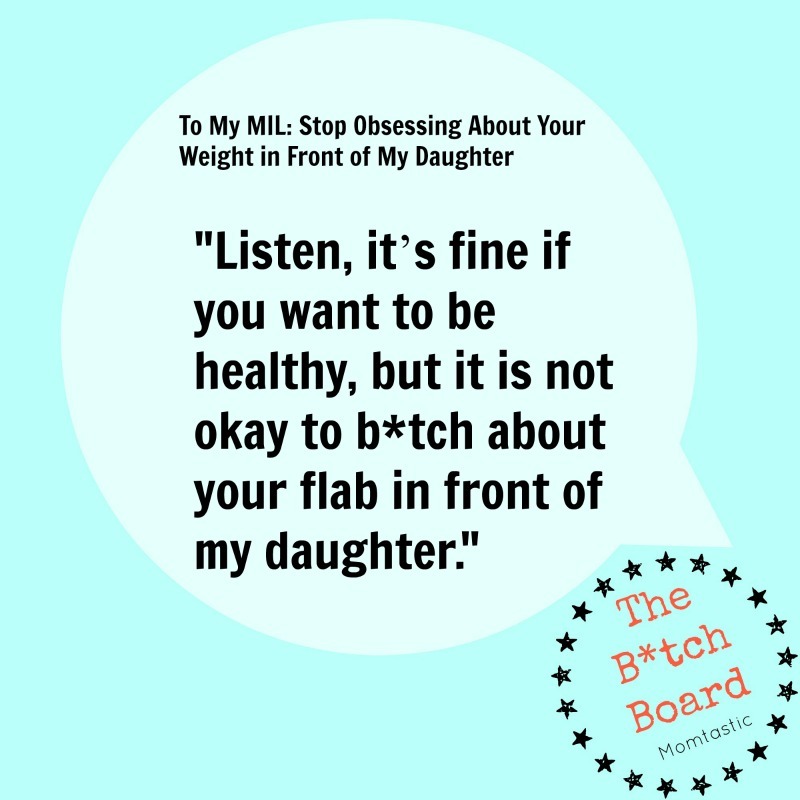 Listen, it’s fine if you want to be healthy and use skim milk (which, BTW, isn’t actually better for you), but it is not okay to b*tch about your flab in front of my daughter. Literally for a week straight you were glued to your phone, snickering over the foods you’d eaten compared with the logged meals of your other “app friends.” And you know what? I’m sure you didn’t even realize you were doing something wrong. Why would you? My daughter is adorable and petite without an ounce of fat on her body … but who’s to say she’s going to stay that way? Maybe my daughter will grow up to be long and lean like her dad, or maybe she’ll be a bit softer and have to work harder to stay fit, like I do. Either way, I want her to grow up in a loving and supportive home and learn all the body shaming bullsh*t from the b*tches in her high school — not her own goddamn grandmother! So, here’s the deal. Keep your BMI and your calorie counting app to yourself, lady, or I’m taking that iPhone and flushing it down the toilet.